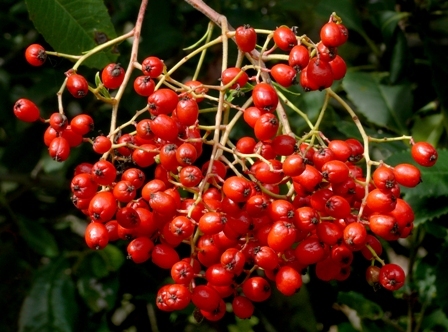 Toyon is a native of America. It can be seen commonly growing the foothills and low mountains up to 4,000 feet. 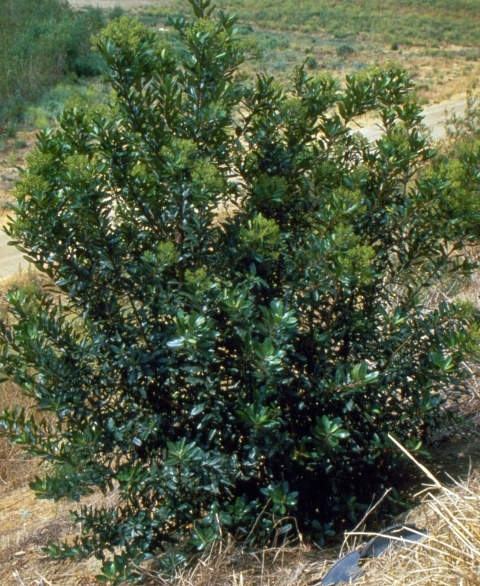 It is found in open woodlands and chaparral habitats and can be found with species of Quercus (oaks), Ceonothus, Arctostaphylos (manzanitas) and Salvia (sages). 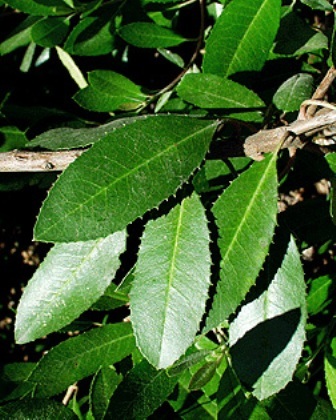 A broad-leaved, evergreen, sclerophyllous, arborescent erect, freely branched shrub or a small tree if growing on a very favourable site, with dense foliage, 2 – 10 m tall, bark dark grey. Leaves simple, alternate, 5-10 cm long, 2-4 cm wide, margins sharply toothed and bristly pointed. Flowers inconspicuous, bisexual, white, borne on loose, 5-10 mm wide, petioles short; petals 5,borne on dense corymbs. Fruit a small pome, bright red, berrylike, 5-10 mm wide, maturing in fall and persisting well into winter. The fruits are edible. These were used as food by Native American tribes. These people also made a sort of tea from toyon leaves. Toyon fruits can also be made into a jelly. These can also be dried and then cooked later into porridge and pancakes. 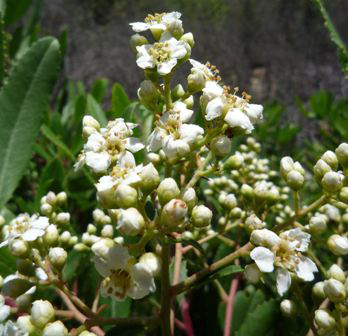 Though toyon bears edible fruits, but it is cultivated as an ornamental plant only. Toyoon plants can be grown in home gardens which have a well drained soil. It is a cold hardy plant and has been seen to survive even upto -12 C. It does not require much water. It can rather withstand some draught.